Azealia Banks told an interesting narrative on her Instagram stories this weekend. The musician claimed she had stayed for days at Elon Musk’s house waiting on his girlfriend Grimes to come home so the two could collaborate on a track for Banks’ new album. At some point she compared staying at Musk’s house to being in a real life version of the horror flick Get Out. Maybe he should inspect his house, because Musk claims he doesn't even know Banks. 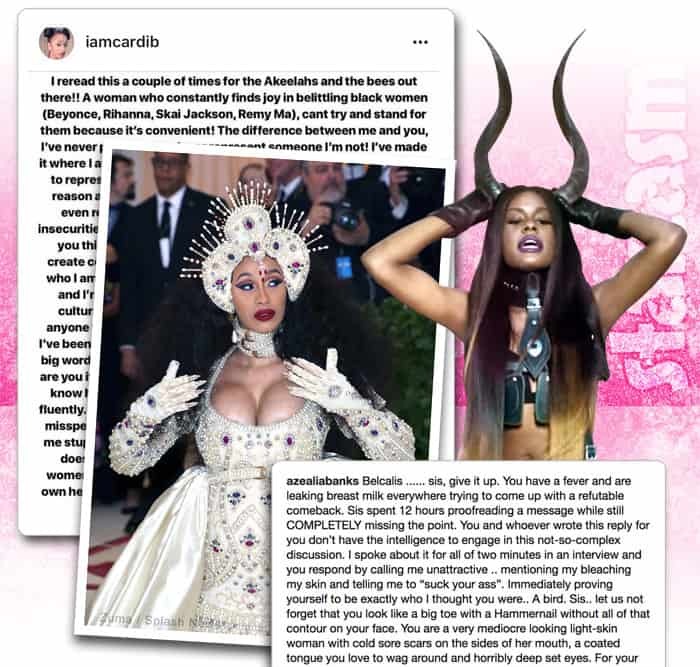 The bitter feud between rappers Azealia Banks and Cardi B exploded over the last couple days resulting in a lot of name calling and the deletion of Cardi B's Instagram account. Keep reading for a complete recap of their recent back-and-forth, as well as a summary of their previous interactions dating back to July of 2017. It's getting where you can't even post videos cleaning up your sacrificial chicken room without somebody getting upset! 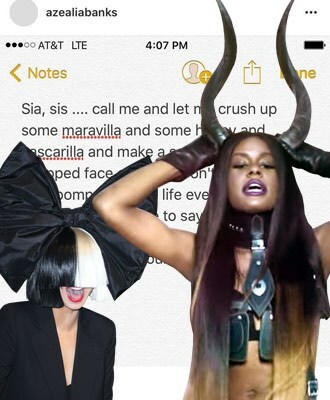 Such was the case for open witchcraft practitioner Azealia Banks this week as her bloody chicken closet clean up clip was met with harsh disdain from fellow singer (and open vegan practitioner) Sia. 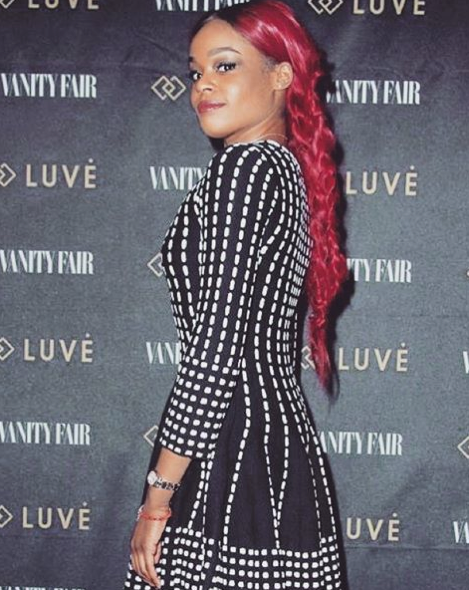 Azealia Banks levied serious allegations of assault against A-list actor Russell Crowe following a run in at a Beverly Hills hotel Saturday night. See screen grabs of what she claims happened and then get another side of the story from sources who were at the scene. 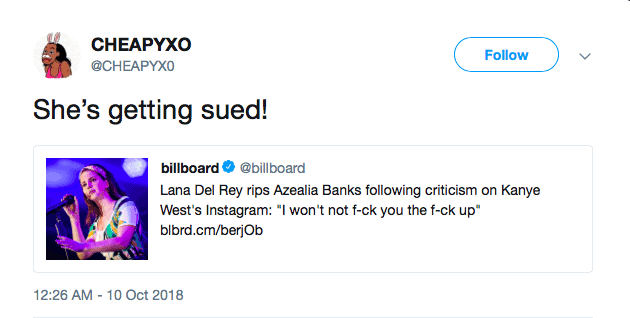 Just a few days after Azealia Banks got involved in a high-volume airplane fight–one in which she called a flight attendant a "f*cking f*ggot" and allegedly attacked a Frenchman–the controversial rapper has unleashed another tirade, this time on Twitter. 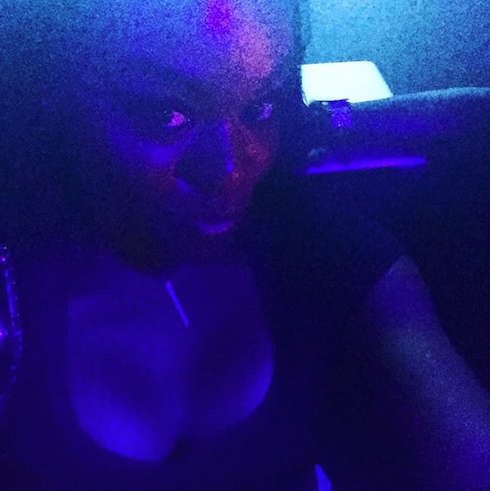 This weekend, Azealia Banks got into it with a star of the popular British series EastEnders; the resulting social media spat devolved into the latest Azealia Banks homophobic rant. 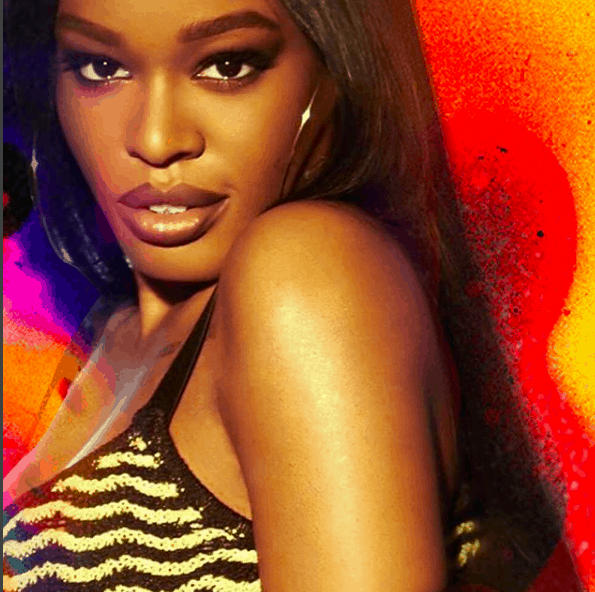 Just-released video originally acquired by TMZ shows oft-feuding rapper Azealia Banks screaming at a Delta flight attendant–and using homophobic language to insult him–before fleeing from the scene. Read on to check out the video, and see what eyewitnesses say went down.